Utilising high standard German engineering, the Hobart Ecomax Plus range provides you with market leading quality at really competitive prices. 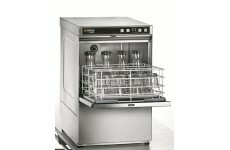 These dish and glasswashers deliver exceptional wash results, unquestionable reliability and low running costs. 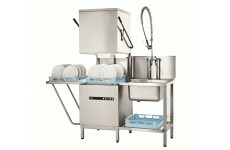 Ecomax Plus offers the ideal and convenient solution to your warewashing needs. 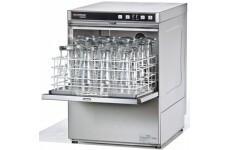 This compact and efficient glasswasher is designed to deliver exceptionally clean results. Electronic controls ensure the machine is simple to use and..
A high capacity glasswasher designed to deliver up to 1500 sparkling clean glasses per hour with brilliantly low running costs. The electronic cont..
A high capacity glasswasher designed to deliver up to 1500 sparkling clean glasses per hour with brilliantly low running costs. 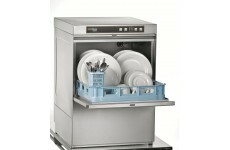 The electronic control..
A powerful hood type dishwasher capable of washing up to 60 racks per hour. The electronic controls ensure the machine is simple to use and easy to un..